Per his military service record (regimental no. 4541), John Martin was born at Melbourne, Victoria. He gave his age as 34 years 10 months, his marital status as single, and his occupation as labourer. His description on his medical was height 5 feet 4 ½ inches tall, weight 10 stone 2 lbs., with a florid complexion, grey eyes, and brown hair. His religious denomination was Roman Catholic. He claimed that he had no previous military service. 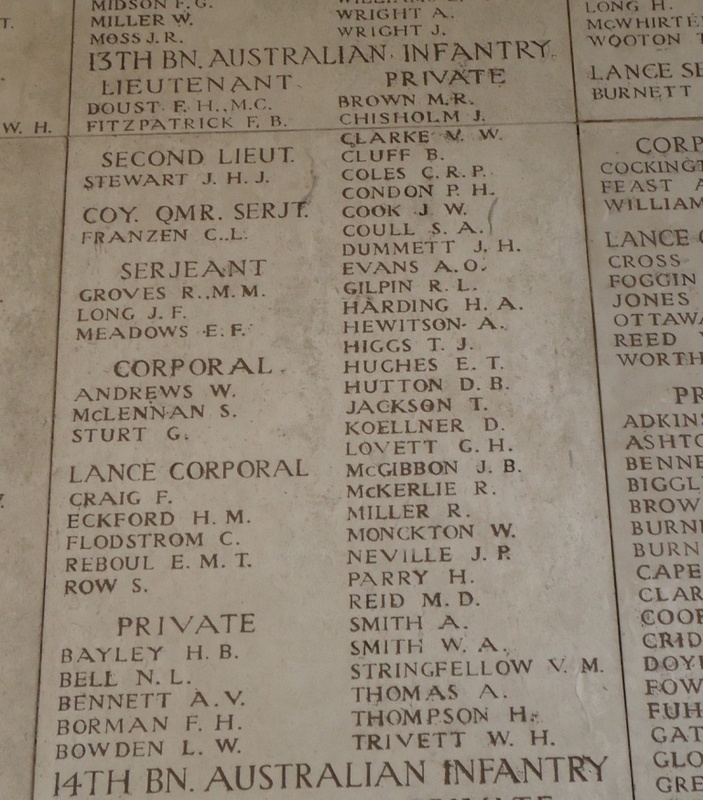 He completed his medical on the 22nd October 1915 at Molong, and was attested by Captain Nicholas at Molong (8 miles from Molong East) on the 22nd October 1915. 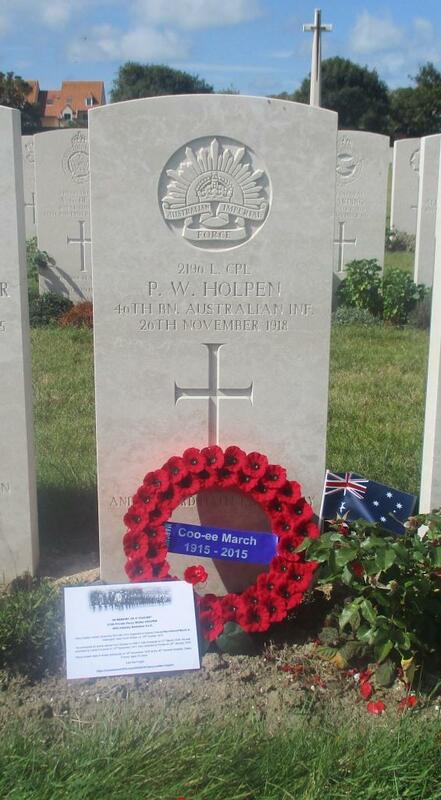 After joining the Coo-ees at Molong, he completed the Coo-ee March, and went to Liverpool Camp as reinforcement for the 13th Battalion. The address he gave on his initial application to enlist form at Molong on the 22nd October 1915 was Bowral, Southern Line, N.S.W. 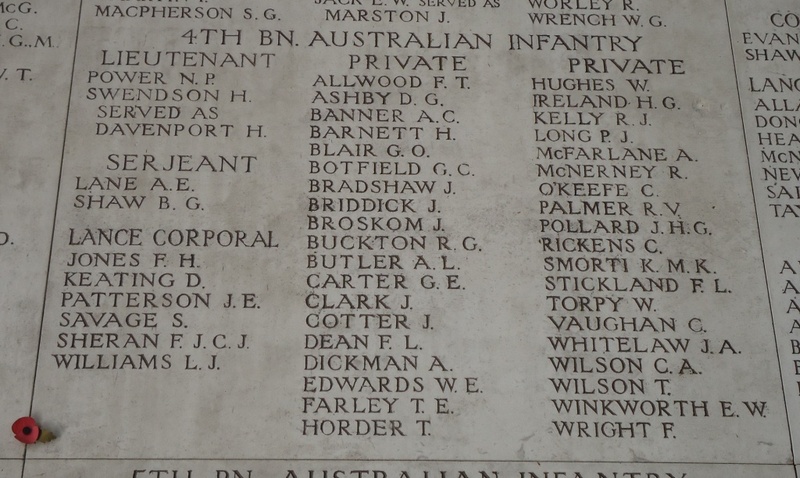 On his embarkation roll his address at time of enrolment was C/o E. J. Arnold, St. John’s Road, Forest Lodge, Sydney, N.S.W., and his next of kin is listed as sister, Mrs. M. Martin, St. John’s Road, Forest Lodge, Sydney, N.S.W. 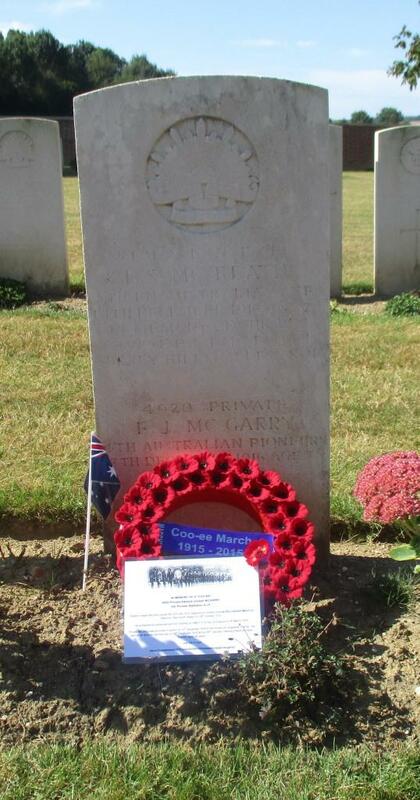 On 16th February, 1916 Private Martin departed Sydney on the HMAT Ballarat A70. 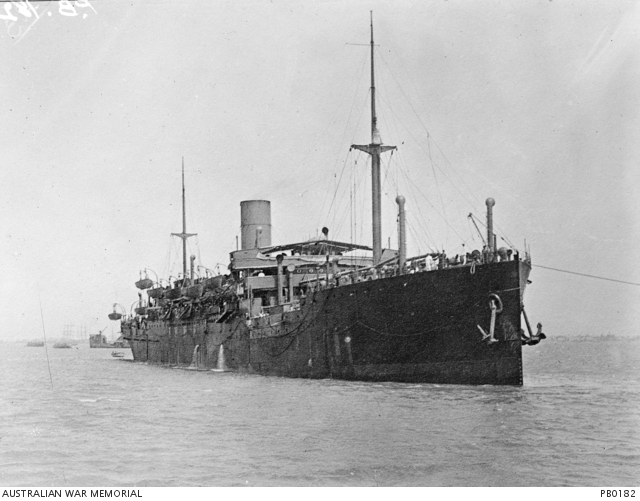 On the voyage to Egypt the HMAT Ballarat A70 stopped at Ceylon where on 3rd of March 1916 Private Martin was charged with Being Absent Without Leave from 1700 on 7th March 1916 till 1900 on 7th March 1916, and also charged with Breaking Ranks. He was fined 1 pound. 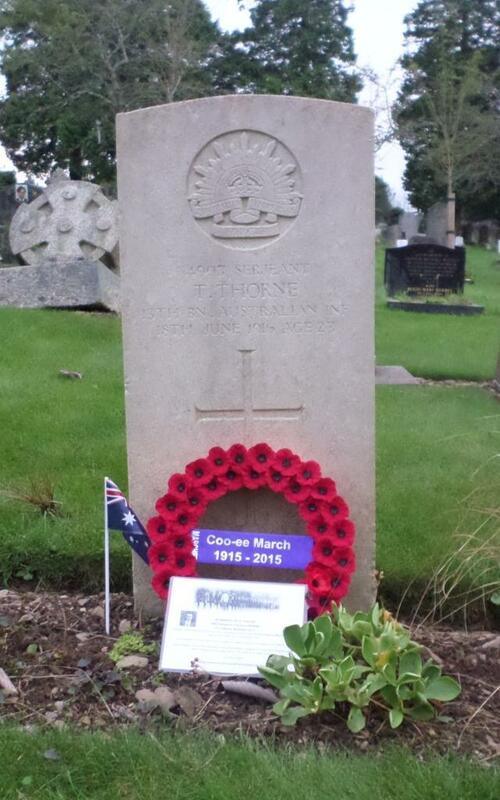 On 1st April 1916 Private Martin was transferred to the 54th Battalion at Ferry Post, Egypt. 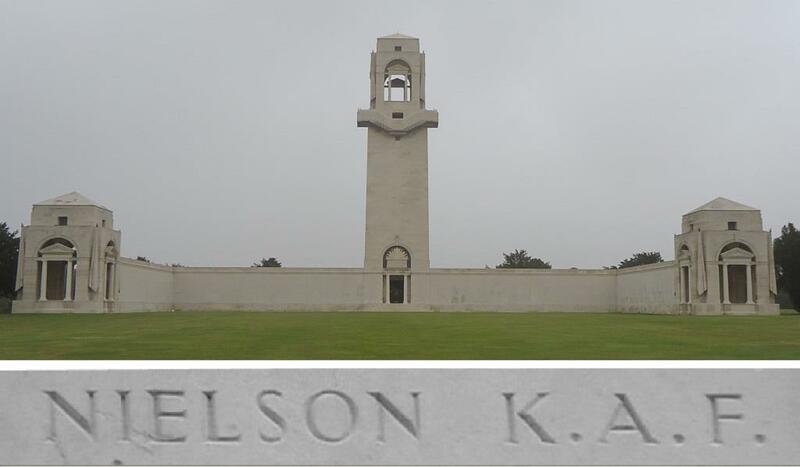 On 19th June 1916 Private Martin left Alexandria aboard the Transport HT Caledonian bound for France, arriving at Marseilles on the 29th June 1916. Private Martin joined the 54th Battalion early in July 1916 when it was conducting training at Thiennes, France. On 7th July 1916 Private Martin was evacuated to the 12th Casualty Clearing Station suffering from Haemorrhoids. 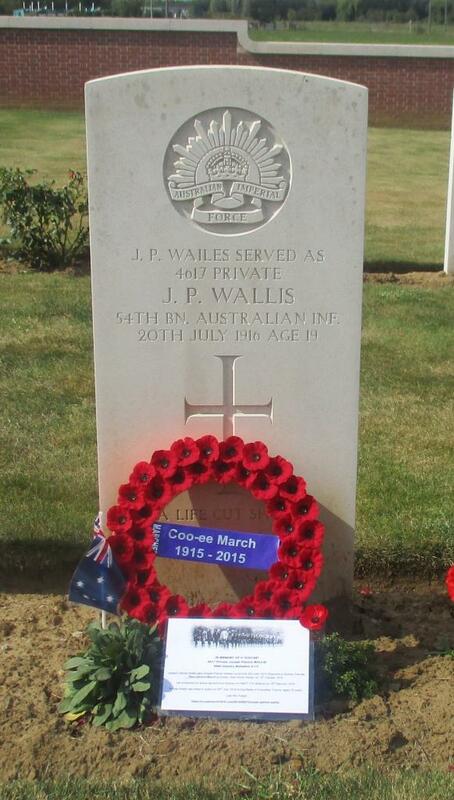 On 10th July he was placed aboard the 18th Ambulance Train bound for Calais, France. On 13th July 1916 he was placed aboard the Hospital Ship Newhaven that departed for England and arrived at Dover later that day. 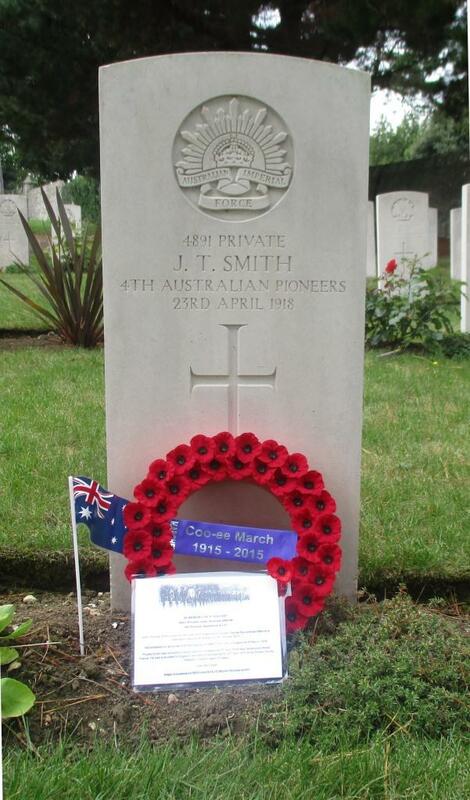 Private Martin was then admitted to the General Military Hospital at Colchester, England. 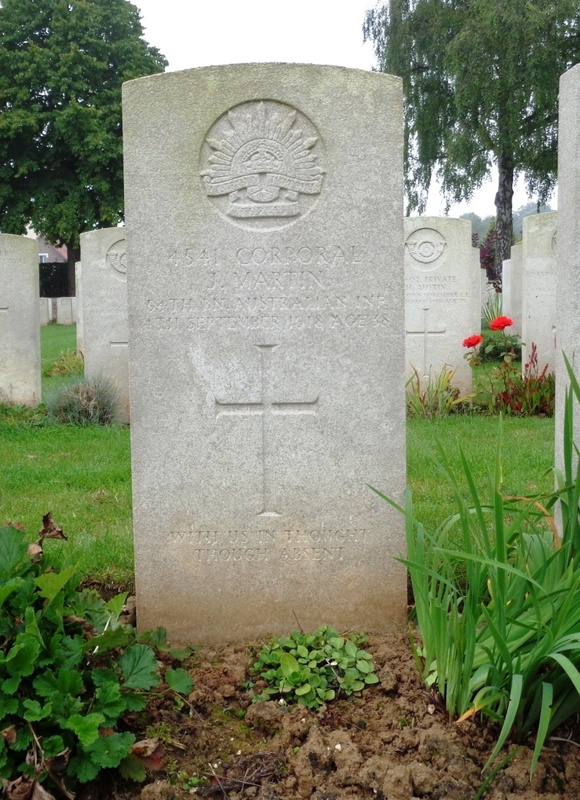 As a result of being hospitalised with his ailment Private Martin was not present with the 54th Battalion when it was involved in the Battle of Fromelles later that month. On 20th September 1916 Private Martin marched into the 14th Training Battalion at Larkhill, England. 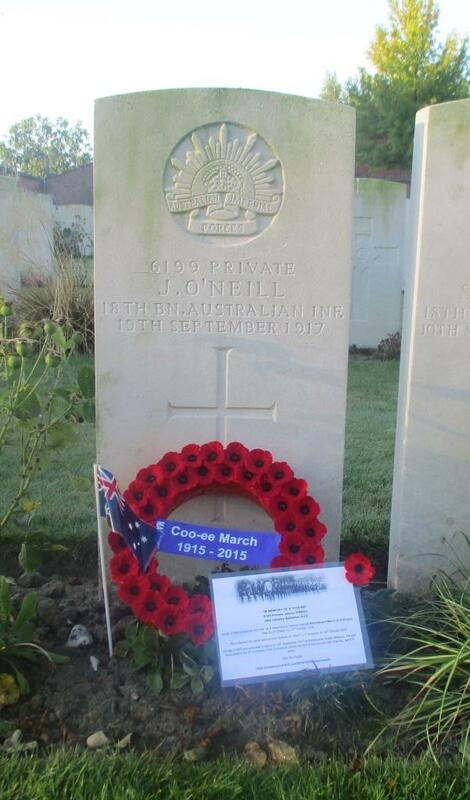 On 14th October 1916 Private Martin departed England bound for France, marching into the 5th Australian Division Base Depot at Etaples on 16th October 1916. 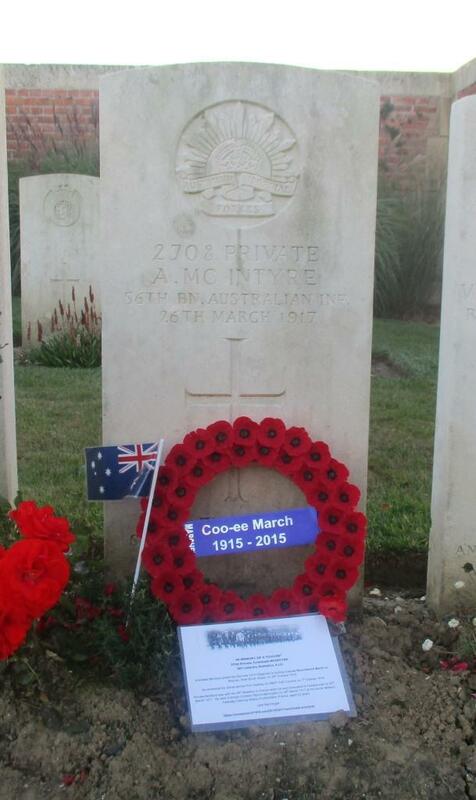 On 30th October 1916 Private Martin departed the 5th Australian Division Base Depot to rejoin his unit. On 2nd November 1916 Private Martin arrived at the 54th Battalion when it was in the trenches in the vicinity of Longueval, France. On 14th December 1916 when the Battalion was resting at Montauban, France, after just coming out of the trenches, Private Martin was evacuated to a Field Ambulance suffering from Trench Feet. On 16th December 1916 he was admitted to the 11th Stationary Hospital at Rouen, France. 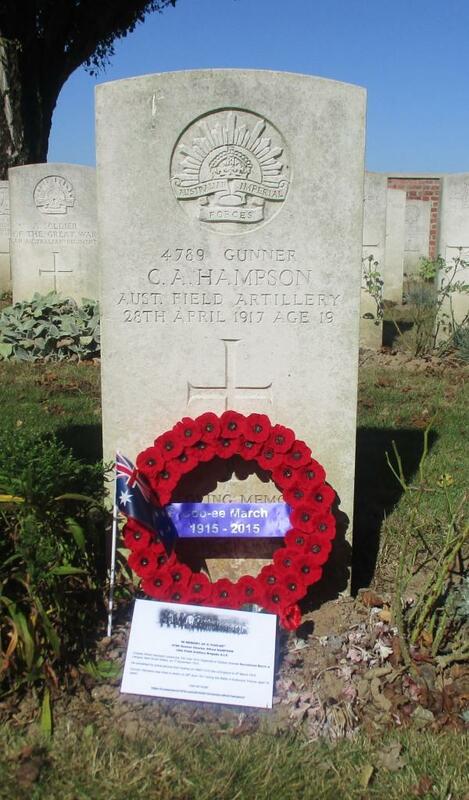 On 17th December 1916 he was sent to Calais, France. On 17th December 1916 Private Martin boarded the Hospital Ship Carisbrooke Castle bound for England. On 18th December 1916 he was admitted to the 1st London General Hospital. On 15th January 1917 Private Martin was discharged from Hospital and granted leave till 30th January 1917, when he marched into the 1st Convalescent Depot at Pernham Downs, England. On 28th February 1917 Private Martin departed Folkestone, England, bound for France aboard the Transport Invicta. 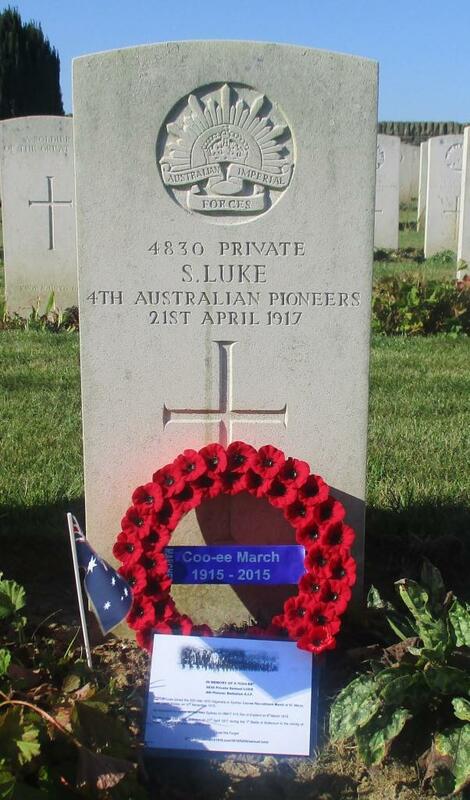 He arrived at the 5th Australian Division Base Depot at Etaples, France, on 1st March 1917. 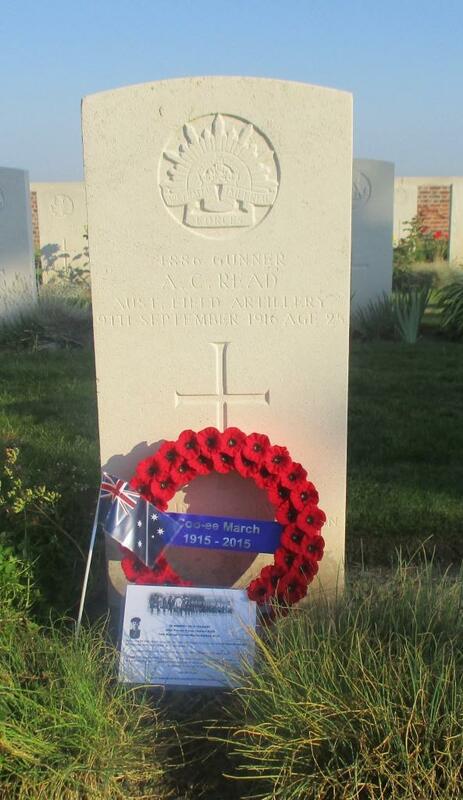 On 21st March 1917 he left the 5th Australian Division Base Depot to rejoin his unit. On 23rd March 1917 Private Martin arrived at the 54th Battalion when it was engaged in consolidating work and resting in the vicinity of Longueval, France. 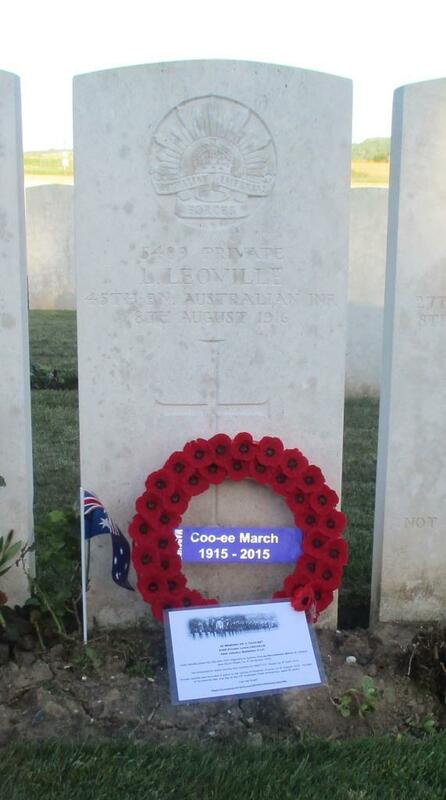 On 27th May 1917 the Battalion was resting at Beaulencourt, France where Private Martin was promoted to Corporal. On 19th of July 1917 Corporal Martin was transferred to the 14th Training Battalion in England. 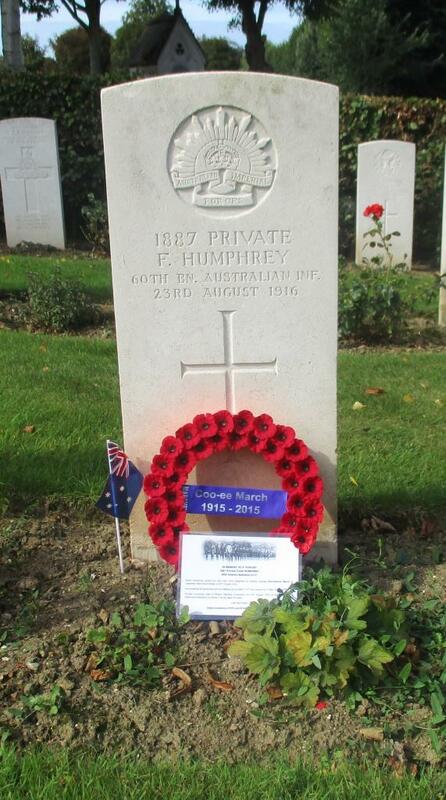 He arrived in England on 24th of July 1917. On the 5th October 1917 he attended the 37th Army course of P. & B. instruction at Tidworth and qualified as “fair”. On 12th January 1918 in a letter to 14th Training Battalion he changed his next of kin from his sister to his new English wife Mrs Louisa Minnie Martin, whose address was 64 Bessborough Place, Bessborough Street, Vauxhall Bridge Road, London, S.W. On 16th January 1918 he made a new will bequeathing his real and personal estate to his wife. On 1st April 1918 Corporal Martin departed Dover for France arriving at the Number 1 Overflow camp at Beaumarais, France. 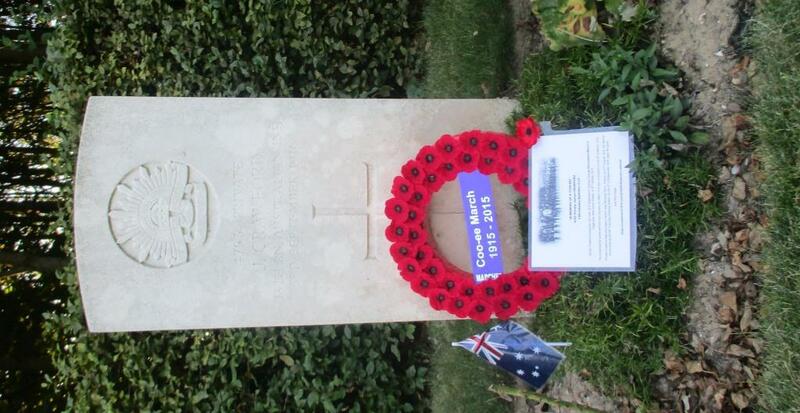 On 4th April 1918 Corporal Martin left Beaumarais to rejoin the 54th Battalion. On 10th April 1918 he arrived at the Battalion when it was preparing to go into action in the vicinity of Aubigny, France. On 24th April 1918 the 54th Battalion was engaged in action in the vicinity of Villers Bretonneux, France, when Corporal Martin received a gunshot wound to his chest. 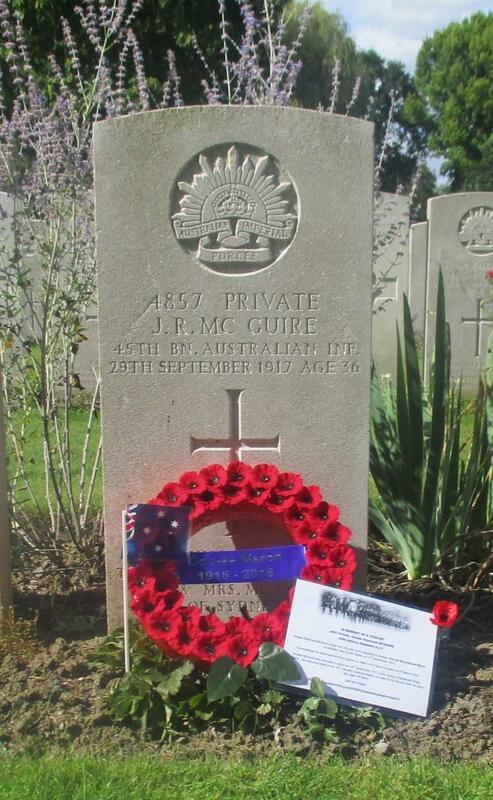 He was evacuated to the 15th Australian Field Ambulance, then on 25th April 1918 to the 61st Casualty Clearing Station, then onto the 10th General Hospital at Rouen, France. On 3rd May 1918 he was sent to Hospital in England, arriving at the 5th Southern General Hospital at Portsmouth, England, on the 4th May 1918. 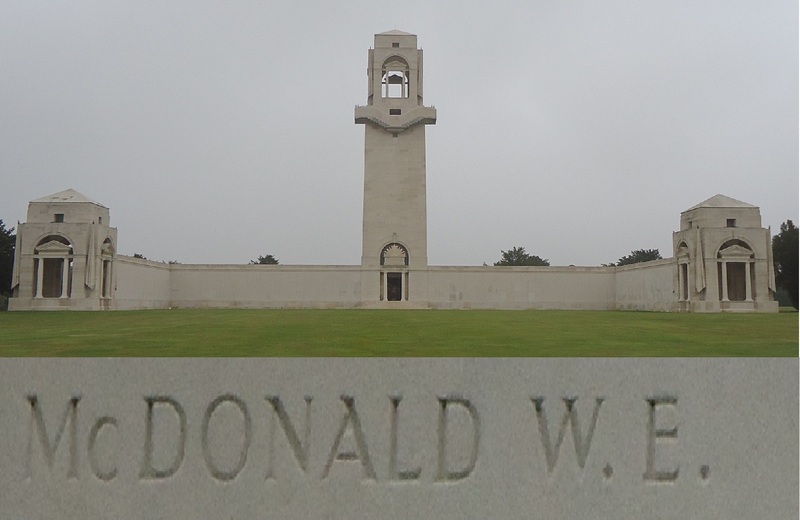 On 15th May 1918 he was transferred to the 3rd Auxiliary Hospital at Dartford, England. He was discharged from hospital on 17th May 1918 and went on leave, reporting back to the 4th Convalescent Depot at Hurdcott, England, on 31st May 1918. 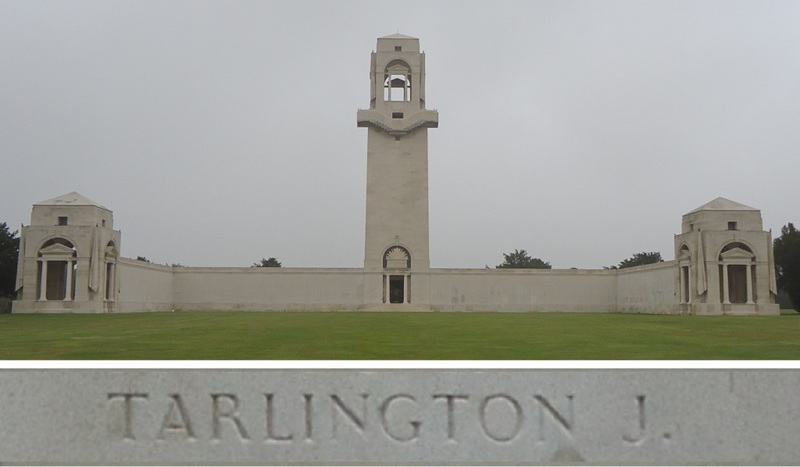 On 19th July 1918 Corporal Martin marched into the overseas Training Brigade and on 15th August 1918 he departed Folkestone for France. 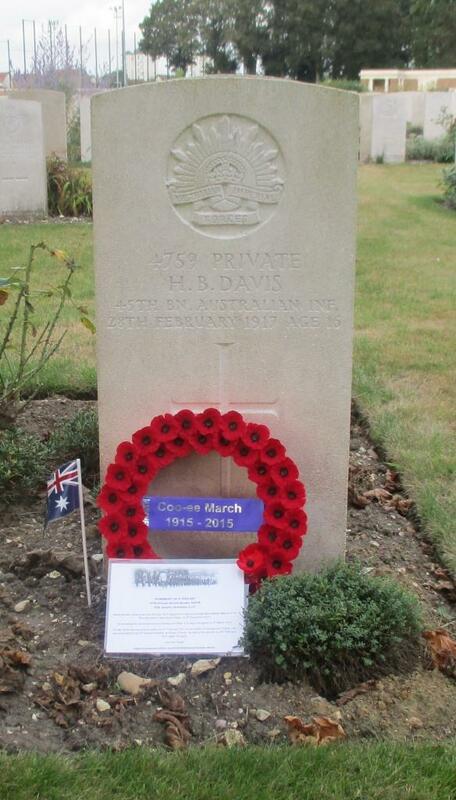 On 16th August 1918 Corporal Martin arrived at the 5th Australian Division Base Depot at Le Harve, France. On 22nd August 1918 Corporal Martin rejoined the 54th Battalion whilst it was in reserve in the vicinity of Proyart, France. On 1st September 1918 Corporal Martin was with the 54th Battalion when it was involved in the successful assault on Peronne, France. 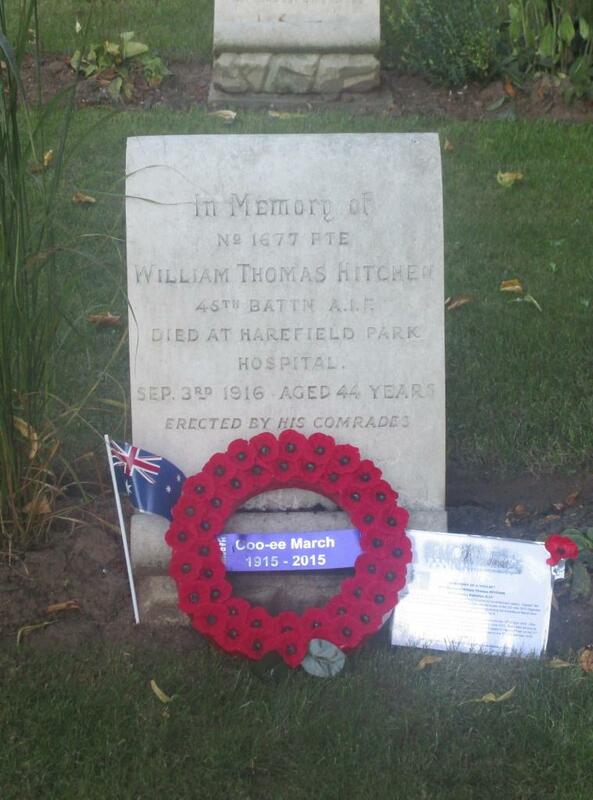 During this assault the 54th Battalion lost 27 men killed, 147 wounded and had 9 men missing. Corporal Martin was one of those killed in action. 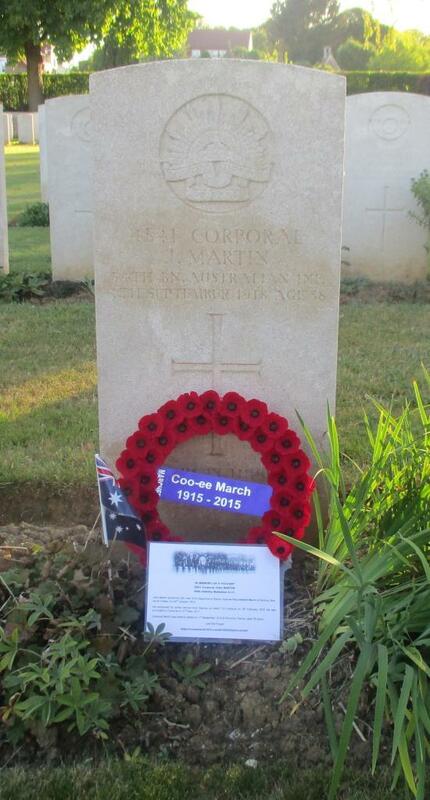 Corporal Martin is buried in the Peronne Communal Cemetery Extension, Peronne, France. 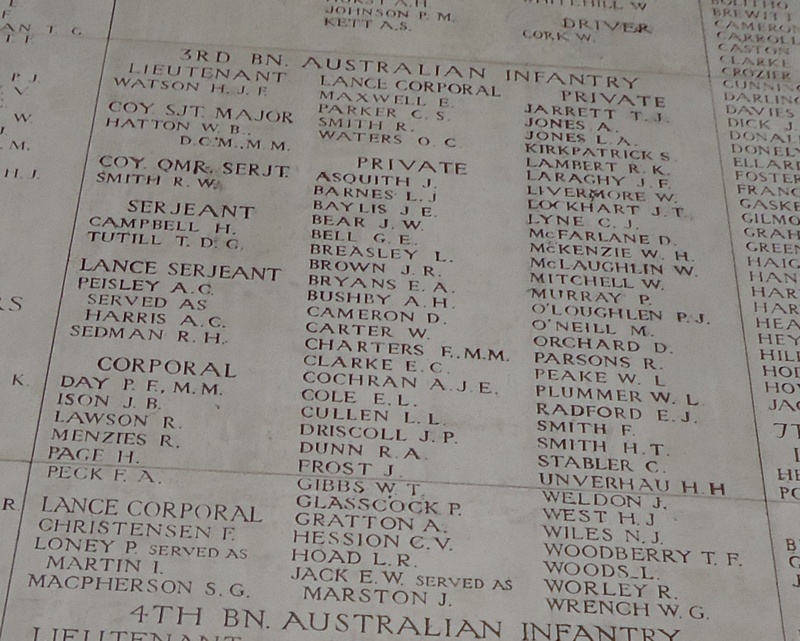 Corporal Martin’s name is commemorated on panel 159 on the Australian War Memorial First World War Roll of Honour. 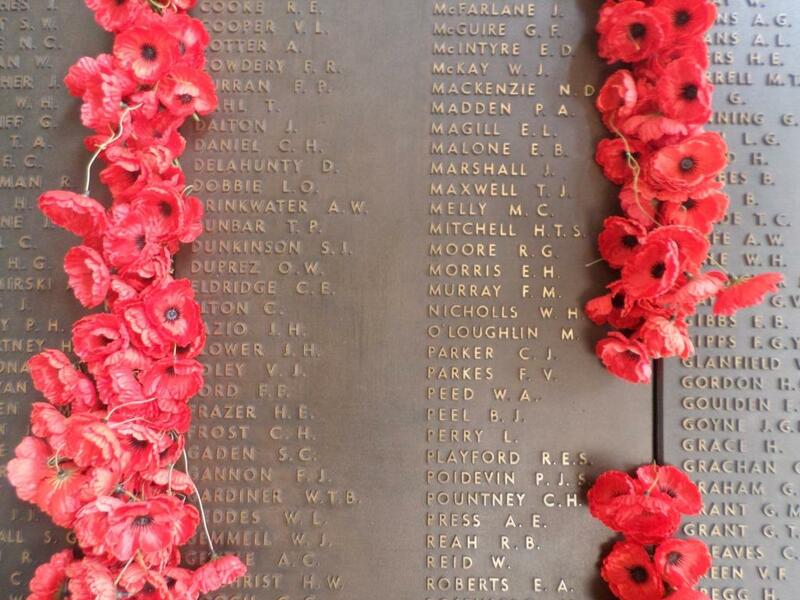 John Martin’s name is also recorded on the Coo-ee March Memorial Gateway at Molong as one of the five men who joined the Coo-ee March at Molong on 22nd October 1915. On 6th September 2014 Stephen and I drove to Peronne Communal Cemetery Extension, which is located on the south west side of Peronne Communal Cemetery at Peronne in France. 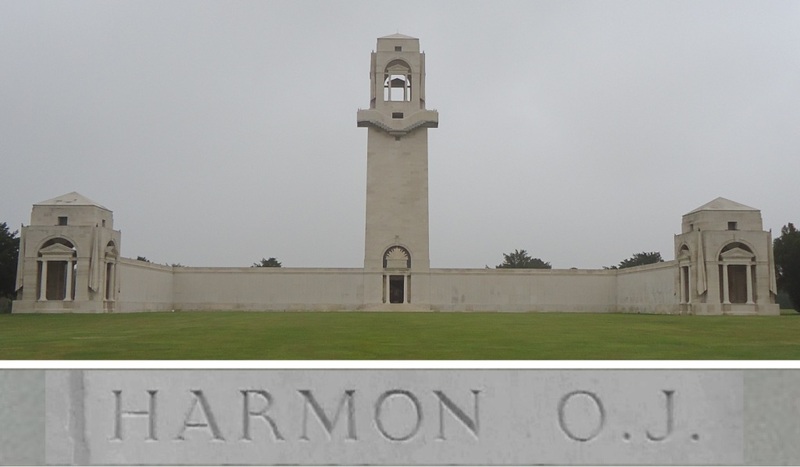 According to the Commonwealth War Graves Commission website http://www.cwgc.org/, Peronne fell to the Germans on 24th September 1914. It was captured by the 40th and 48th Divisions on 18th March 1917, then was retaken by the Germans on 23rd March 1918. 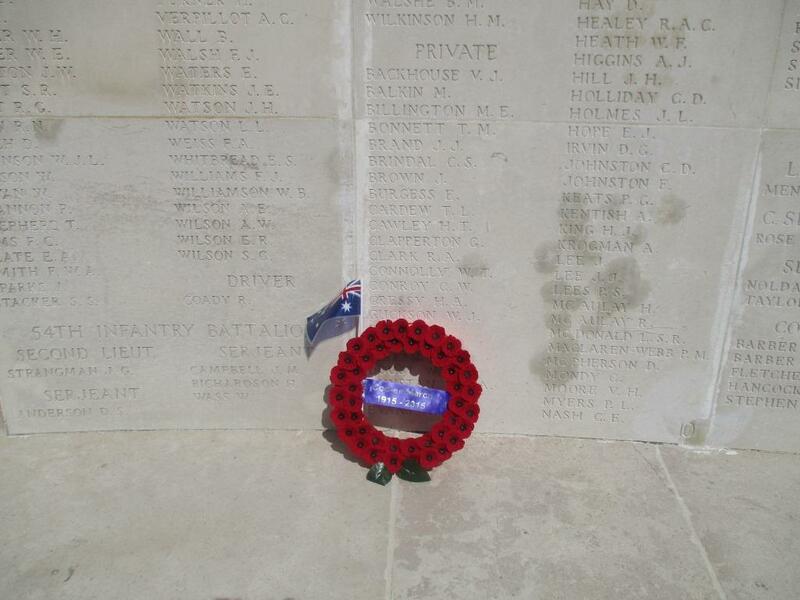 It was taken by the 2nd Australian Division on 1st September 1918. The military cemetery extension was used by the 48th (South Midland) Division in March 1917, then was used by the Germans in 1918, and then by Australian units in September 1918. 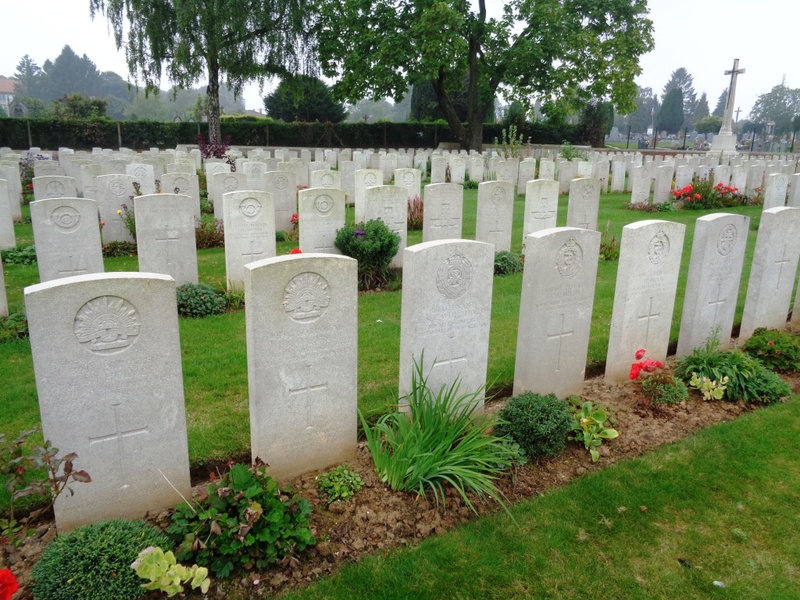 Further burials were made in the cemetery extension following the war when graves in the battlefields and smaller cemeteries north and east of Peronne were brought in and reburied. 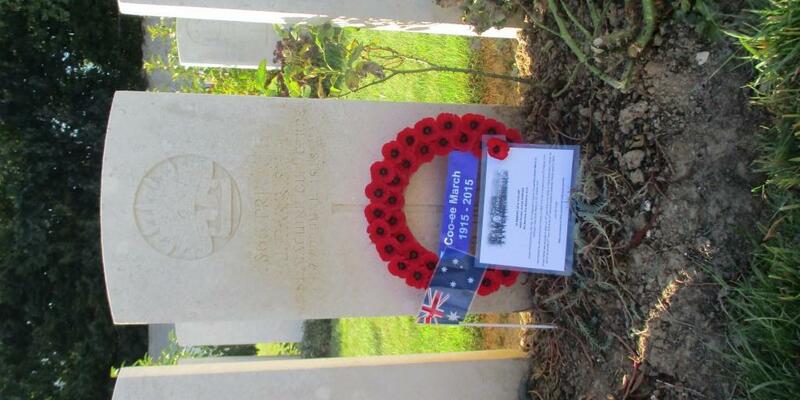 There are now 1,595 Commonwealth soldiers of the First World War buried or commemorated in Peronne Communal Cemetery Extension. 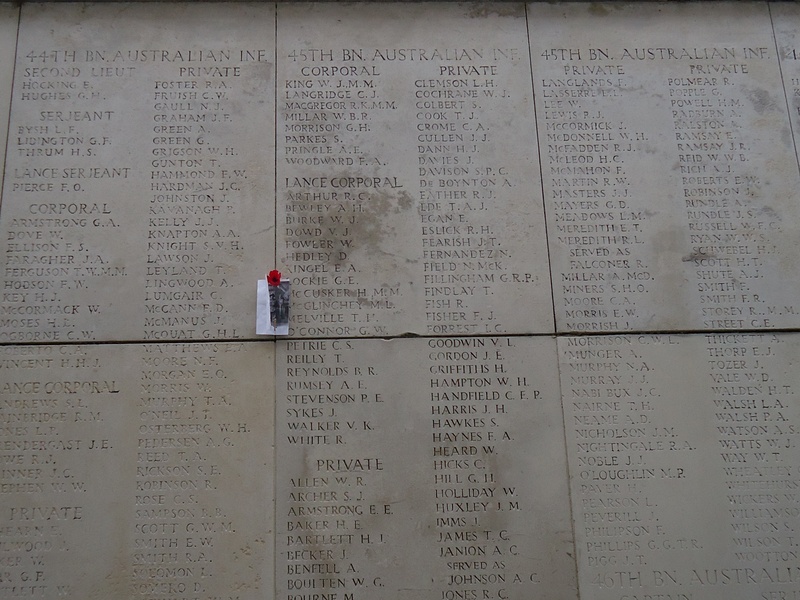 This number includes 488 Australian soldiers, many of whom died during the capture of Peronne between the 1st and 3rd September 1918. There are also 97 German war graves. 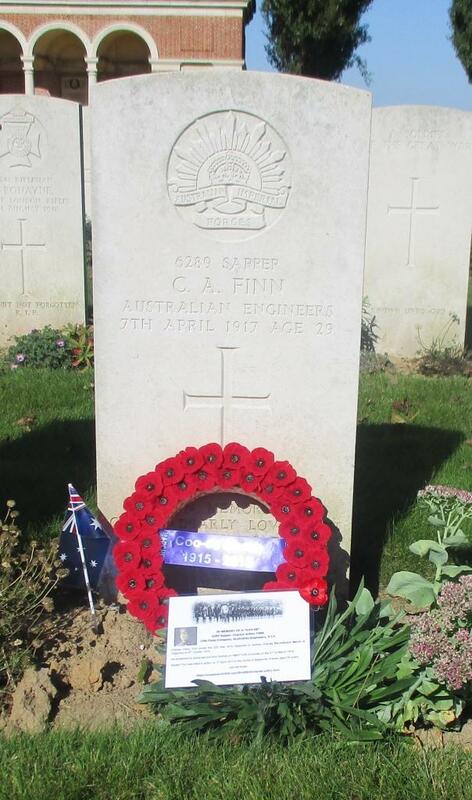 John Martin, a labourer on enlistment per his service record, who joined the Coo-ees at Molong, is the only Coo-ee buried in this cemetery. 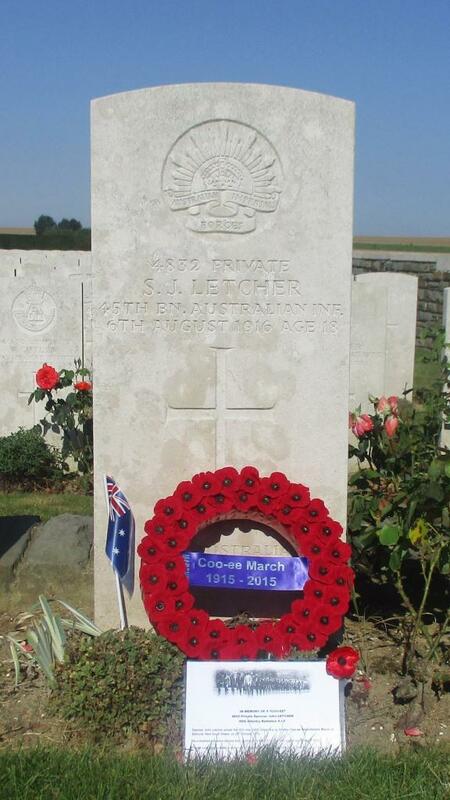 He was killed in action on 1st September 1918 during the 54th Battalion’s successful assault on Peronne. 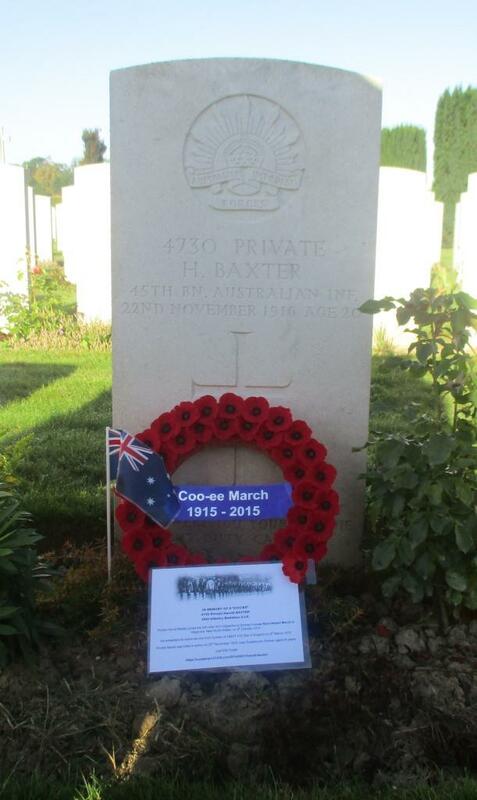 The photograph below shows John Martin’s headstone (second from the left) at Peronne Communal Cemetery Extension. 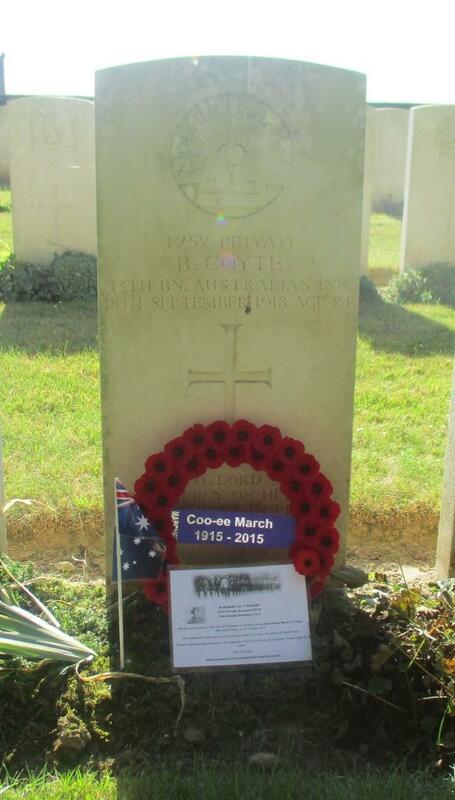 A photograph of the headstone on John Martin’s grave will be placed on his individual blog entry, and form part of a Roll of Honour for the fallen Coo-ees on this blog.